Qmmp, a Qt-based multimedia player with Winamp-Like user interface, has reached the 1.1.0 (Qt5) and 0.10.0 (Qt4) releases with many new features, performance improvements, bug fixes, and translations updates. 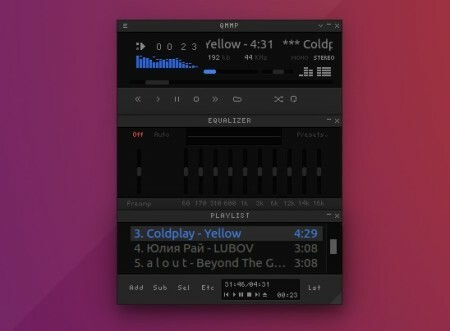 new plugin: soxr-based resampler plugin, Qt Multimedia output plugin, WASAPI output plugin. Type in password (no visual feedback) when it asks and hit continue. If you have a previous Qmmp version installed, just upgrade it via Software Updater. The command will install Qmmp 0.10.0 (Qt4 version) in Ubuntu 12.04, Ubuntu 14.04, Ubuntu 15.10 and their derivatives. For Ubuntu 16.04, the 1.1.0 (Qt5 version) will be installed.